As human beings, we have an innate desire to love and be loved. Our families are important, but friends are equally important. We are taught at a very early age that we need to be kind, show respect, play, get along, and be friends with others. It makes so much sense that friendship is an important part of our lives and our happiness, and there are many other benefits to having food friends. Friends can help support you when things are bad, or be with you to celebrate the positive. Friends give you a sense of belonging, reduce feelings of loneliness by providing companionship, and they can give us an overall sense of self-acceptance and happiness. · Increase your sense purpose. · Reduce your level of stress and improve stress management. · Increase self esteem and self-confidence . · Help with your ability to cope with negative circumstances and situations. · Help you to achieve success. · Help you to feel a sense of love and attachment. · Provide a resource and someone to lean on when you are having problems. · Allow you to help them to cope with struggles. · Help you to provide compassion and empathy for others. · Provide a great support system. 1. The Sense of Acceptance: Friends want to spend time with you, and when you are open to friendship, they offer support, kindness and love when all feels like it is going wrong. They show a sense of loyalty and acceptance that is viewed differently from family. Friends are chosen, not forced on us, so the relationships can deepen more quickly. 3. One Friend Leads to Groups of Friends! When you have friends it opens you up to meeting others and expands your social network. You can meet new people within your growing social network as you go out, play games or sports, and venture outside your inner circle. This process also results in a boost to your confidence level. 4. You Feel Less Lonely: Whether you have one friend or many, it can make you feel less lonely. Whenever you feel the need for human connection, you know that you have a great person with whom you can call, visit, and play. 5. Positive Motivation: Your friends have the ability to encourage you to do your best, because the right friends will have higher expectations that you do your best and achieve your goals. During tough times, they can offer a great sense of support, so they are like your own personal cheerleading squad. They can lift you up when you are down and encourage you to grow beyond your imagined limitations when you are up. 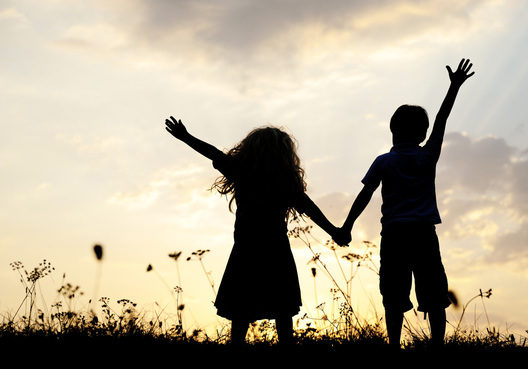 Friendships can develop at any age, but the concept of friendship develops early in life. We are all taught to be kind, to share, to show respect, and to have friends. Friends can help us to feel loved, allow us to love them, encourage and support us throughout our journeys. They can help you grow and develop with compassion during tough times but also with challenging us to be more during our good times. Being able to obtain and sustain friendships is a vital part of life. As human beings, we all have the need to be loved and to reciprocate the feeling to others - Whether you have a long term friendship from someone at school, or a long term friendship such as those you met, friends are important in most people’s lives. A friend can truly help you through “thick or thin”.